I created an online shop on Facebook the other day. I'm selling some of my pre-loved items for the best low price. Will try to upload more items! 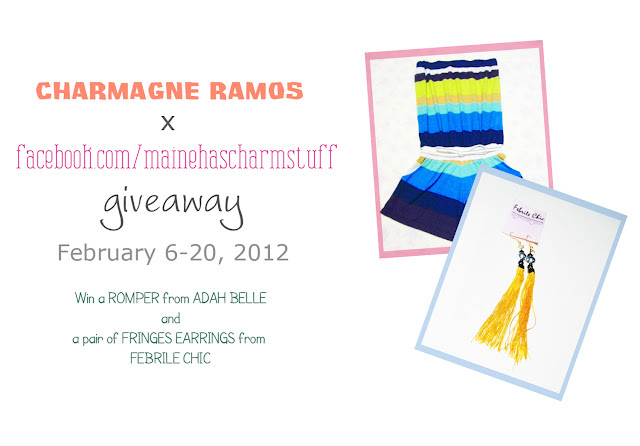 Tweet this: "Join @CharmagneRamos Blog Anniversary Giveaway (Part 2) here: http://charmagneantonetteramos.blogspot.com/2012/02/blog-anniversary-giveaway-part-2.html"
Contest ends on February 20. Open to Local Readers only. Done w/ all the requirements!